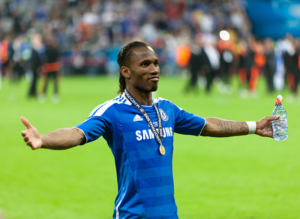 Chelsea legend Didier Drogba may be set to make an appearance in the 2015 Indian Super League, with a number of clubs said to have expressed interest in signing the striker. The former captain of the Ivory Coast national team announced his departure from Chelsea in May 2015. Drogba, 37, made over 300 appearances for Chelsea during two stints at the club. In 2012 he was voted by supporters as the club’s greatest ever player. Sources from the ISL report that several of the franchises yet to sign marquees are actively pursuing Drogba. The three clubs yet to announce their player marquees for 2015 are Atlético de Kolkata, Kerala Blasters and Pune City FC. The deadline for announcing marquees is 31 July.